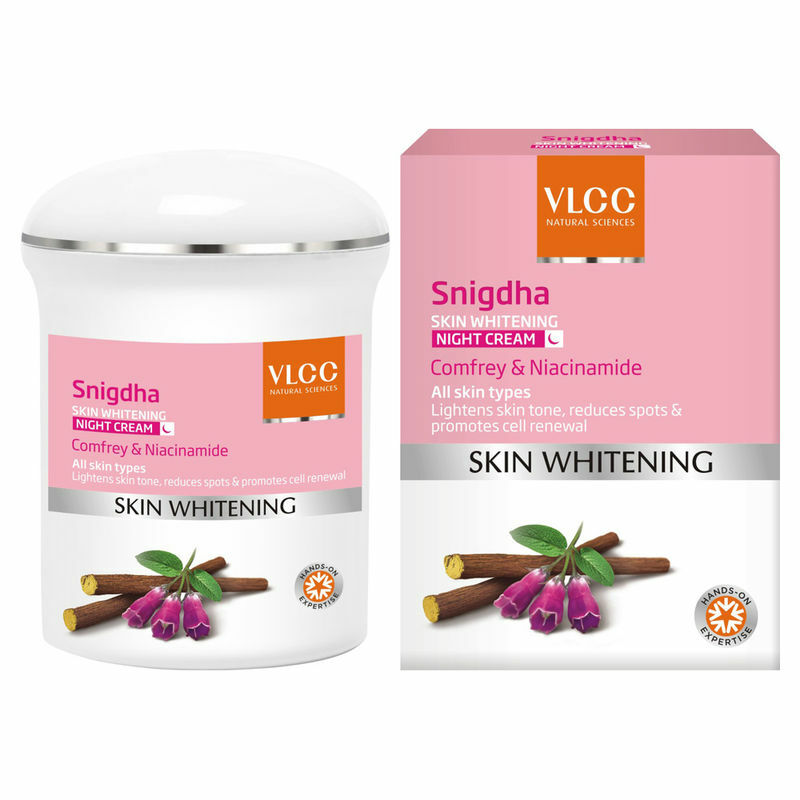 VLCC Snigdha Skin Whitening Night Cream is a unique hydrating yet non-greasy formula that reduces the appearance of dark spots and dullness for a healthy-looking natural fairness that glows from within. This product is rich in natural actives ideal for night care application. It has deliverable actives that correct skin darkening, removes blemishes and dark spots, deeply hydrates the skin and rejuvenates the skin cells, and hence giving fairer and radiant complexion along with prevention from early aging. Explore the entire range of Night Cream available on Nykaa. Shop more VLCC products here.You can browse through the complete world of VLCC Night Cream .